Can I add to my system or do I have to get a new one when my kids outgrow it? Yes. Most systems are modular so you can build custom configurations now and still expand later. Yes. 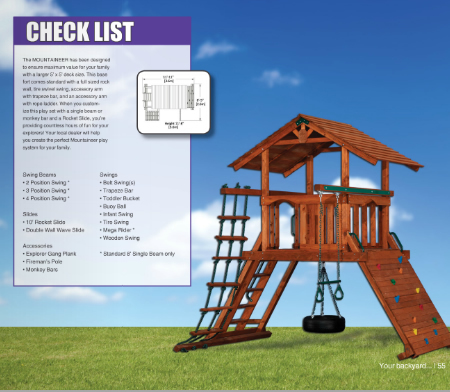 All playsets come with their exclusive comprehensive step-by-step installation instructions for easy assembly. We also provide local installation on all our products. Why do I see a cost difference between systems? As with anything, you get what you pay for. 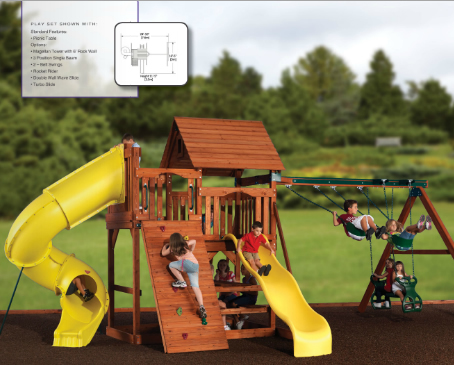 Quality construction, premium accessories and fasteners, wood dimensions and quantity are all factors in the final cost of a play system. Believe what you can see. 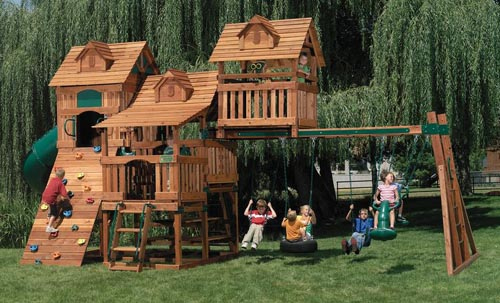 Does the playset need to be anchored? 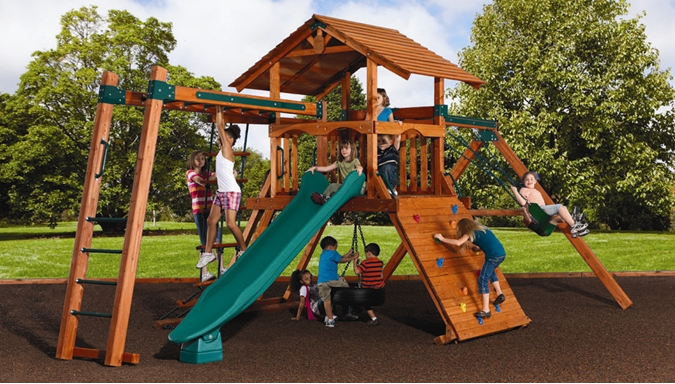 All playsets have a certain amount of weight and we can easily say that they are heavy enough and are designed to be very stable. 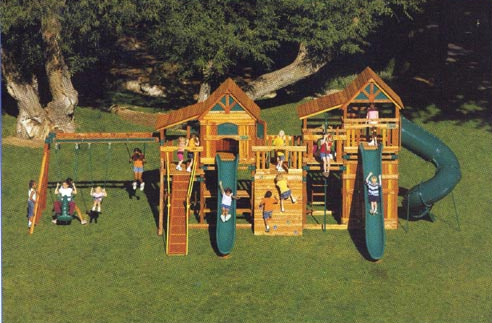 Sometimes the most difficult part of the installation is to anchor the playset and some people will try to avoid it. Don't believe it! If they don't want to anchor it for you, then you need to do it yourself. Remember, this is for the safety of your children! 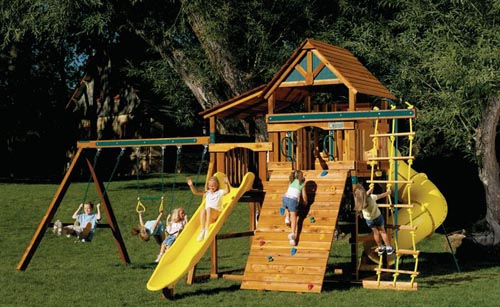 Can I take the playset if I move? Yes, you can. 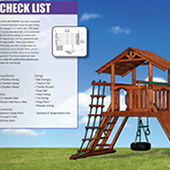 Even though all playsets are anchored at installation, which is a must, you can still dis-assemble it for transport. 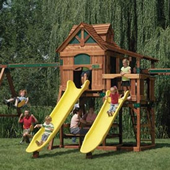 Is treated wood harmful to the environment? No. The Environmental Protection Agency (EPA) conducted an extensive eight year study where it determined that the benefits of pressure treated wood products outweighed any potential risks. 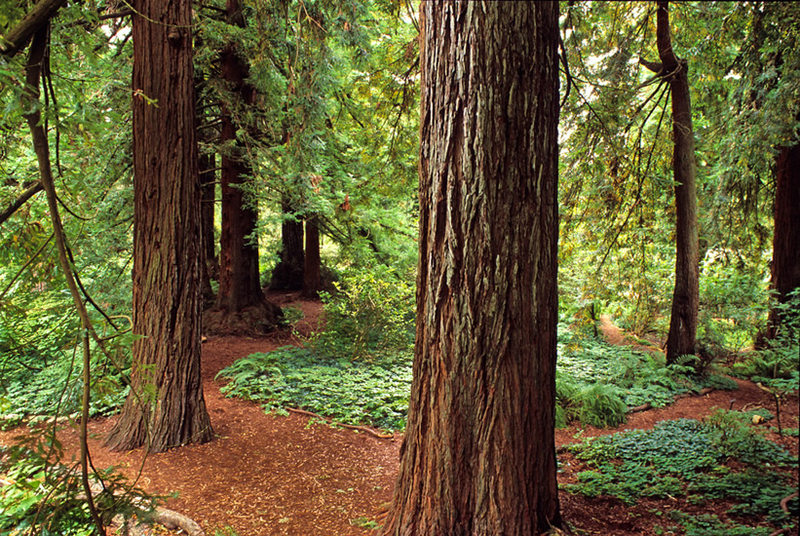 What is the difference between Pine, Cedar and Redwood? 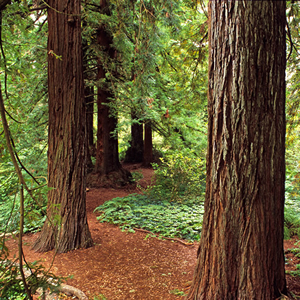 All are considered softwoods. 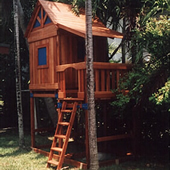 Cedar and Redwood have natural preservatives in the wood to prevent decay and insect damage. 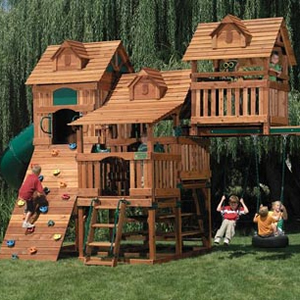 Redwood is a builders favorite because it is lightweight, but strong. Pine would need to be preserved with a variety of chemical compounds. All species have unique color and tendencies that measure the amount of shrinkage, warping and decay resistance. Pressure treated pine is a lumber that is pregnated with preservatives that protect the wood from termites and fungal decay. On February 12, 2002, the EPA announced a voluntary decision by the industry to move consumer use to treated lumber products away from the variety that contains arsenic by December 31, 2003 in favor of new alternative wood preservtive ike copper azole(CBA)called natural select. 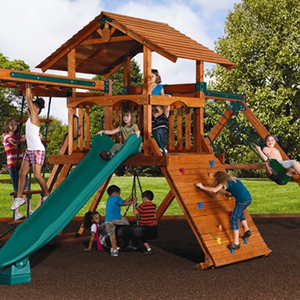 Wood treated with creoste, primarily used for timbers in railroad ties, and wood treated with pentachlorophenol, primarily used for utility poles are not suited for playground equipment. 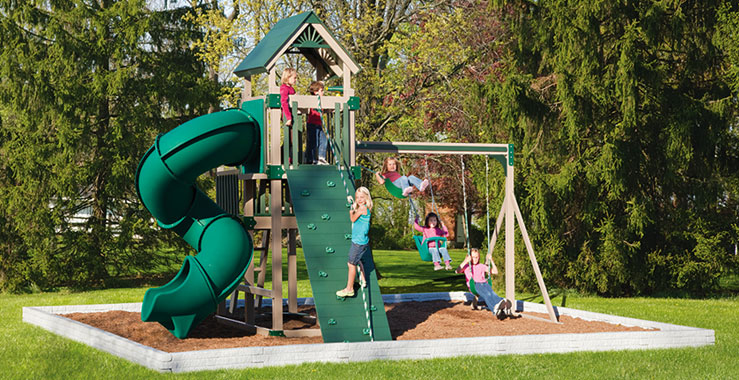 Is one manufacturer's playdesign safer than others? Safety is consistently being evaluated and revised. Agencies like the Consumer Product Safety Commission(CPSC), American Society for Testing Materials (ASTM),Canadian Standards Association (CSA) and others consistently provide guidelines to ensure product safety in which most are adhering to. Unfortunately, these guidelines are only voluntary and are not mandatory, so you will find that some smaller manufacturers fall through the cracks and go un-noticed. 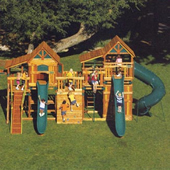 The ASTM published a set of standards for public use playground equipment in 1993 and revised it in 1995. 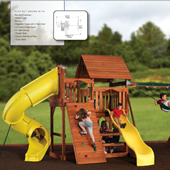 The CPSC published a set of guidelines in 1981 and has since made several revisions. Both are currently working on new revisions to address items not addressed in the previous versions. The CSA published a set of standards in 1990. As in any outdoor product exposed to the outside elements, there is a certain amount of preventative maintenance required. Periodic tightening of the fasteners is expected because wood shrinks and expands. 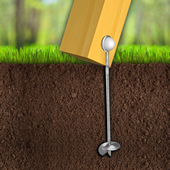 This will also help prevent the anchors from loosening prematurely. A wood sealer will keep the wood water repellant and will reduce warping, checking, splitting and other weathering problems. 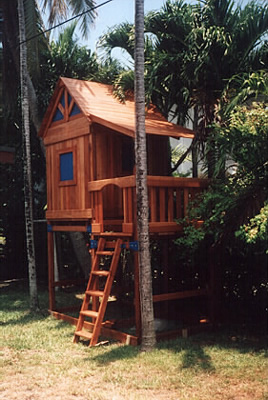 Unprotected lumber will begin to change color as a result of the woods reaction to ultraviolet (UV) rays of the sun. Different locations of exposure to the elements will determine how often you apply the sealer, usualy 1-2 years in our Floridian climate. Remember, nothing is maintenance free and a little prevention goes a long way. Will the slide get too hot from the sun? No. 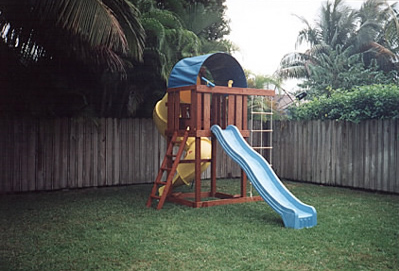 Unlike metal slide bedways, plastic slides do not radiate heat. Ideally, all slides should face north. All plastic slides are made with U.V. protectors to help prevent fading. Does my playset come with a warranty? Yes. All manufacturers must disclose their warranty coverage and policy in writing. This could be found on their sales literature and/or packing material. Not all warranties are the same, but most will provide adequate coverage for real world use. The longest warranty does not mean that it is the best. 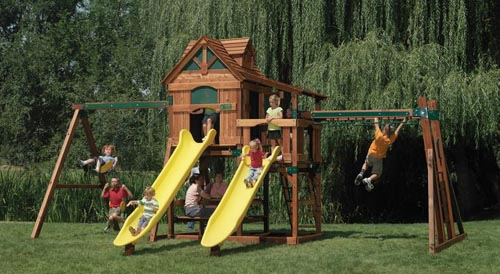 In actuality, our children are expected to outgrow these playsets before their teenage years. Are cracks in the wood normal? Yes. Commonly called wood checks, they start out with hairline cracks and as the wood weathers outside and it shrinks and expands, the cracks will vary in size. 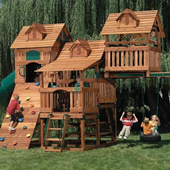 It usually does not affect the structural integrity of the playset and a water sealer will help reduce this phenomena. This is most common in pressure treated pine. 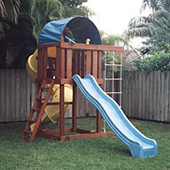 What kind of surface should I have under and around my playset? 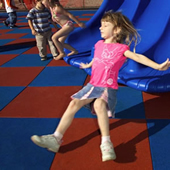 Falls from play equipment are the most common of injuries. 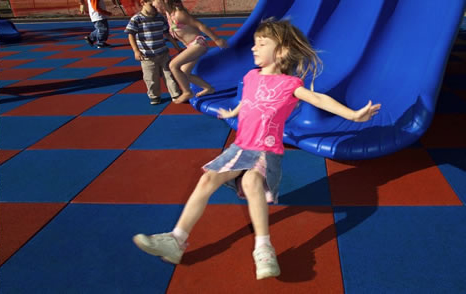 Special attention should be taken to prevent such falls or to lessen their severity. 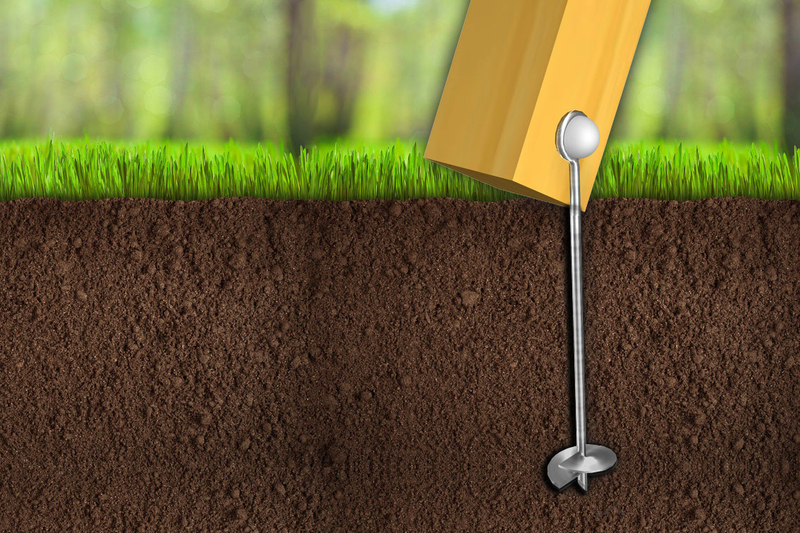 Never install playground equipment over a hard surface such as concrete, asphalt or packed earth. 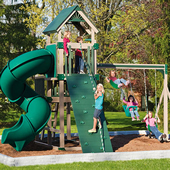 Sand, wood, mulch, pea gravel or rubber material are ideal for under the playground. There are advantages and disadantages to each one, but all will provide safe landings. 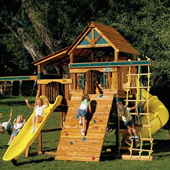 What are some basic common sense rules to insure the safety of children playing on and around the playsystem?